The health impact for a generation of working Canadians. It’s harsh work. High pay for long hours in sometimes torturous environments. Every year more husbands, wives, sons and daughters head out toil away in the oil sands. They may end up trading their health for a chance at a decent career—if they survive. In January, Jerry Cooper was found dead at a Suncor Energy site. The 40-year-old, originally from Newfoundland, was submerged in a pool of sand and water. There have been four fatalities this year at the same Suncor site. But problems run deeper. Injuries are more common with sub-contractors—especially in high-risk environments like construction, trucking and mining. In 2007, the Canadian subsidiary of the Chinese state-owned oil company Sinopec paid a record $1.5-million fine when falling steel killed two workers and injured five more at the Horizon oil sands project. Fatalities reported by the Canadian Association of Petroleum Producers likely don’t include those from contracted companies or non-CAPP members. Those companies are also more likely to employ Fort McMurray’s “shadow population” of temporary foreign workers. According to the 2012 census, there’re 40,000 mobile workers in the Wood Buffalo region, compared to Fort McMurray’s 73,000 residents. The actual number is probably higher—the census was done off-season, and camp capacity is closer to 100,000. Two years ago, Alberta’s government set new maximum limits for air pollution which balance ecological objectives with “economic factors.” Emissions well below those thresholds can still be dangerous. It would be nice to think some of the thousands who have left the east coast for employment in Alberta will come home someday. When they do, it will be the strained health systems of these provinces that are left to treat all that’s left in Fort McMurray’s wake. That will include the psychological effects. The cowboy culture means some don’t access help even if they need it. 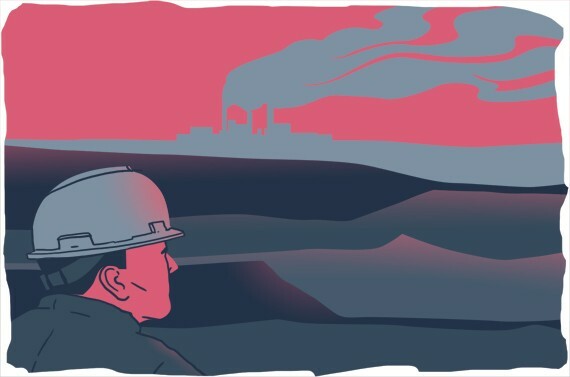 A 2009 report found oil sands workers seeking assistance for alcohol abuse rose 481 percent over two years, yet some estimate fewer than 40 percent of workers with addiction issues seek help. The troubles often end up internalized, Angel says, which only elevates the danger. Shaking up the pop bottle, one researcher called it. Eventually, the bottle explodes. While some relish the adventure of oil sands life, other workers liken the heavily controlled culture to prison with good pay. The mental taxation of life in the oil sands carries its own longterm toll. A “stunting” of personal growth, Angel says. She recalls interviewing one 22-year-old worker who couldn’t keep a girlfriend due to his career. A generation of Canadians is being forged in the oil sands. The impact of that on the longterm health our nation is still dangerously unknown.